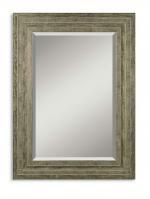 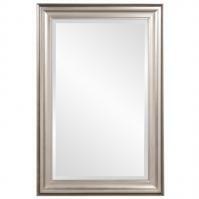 Add the elegance of silver to your walls with this Avery mirror. 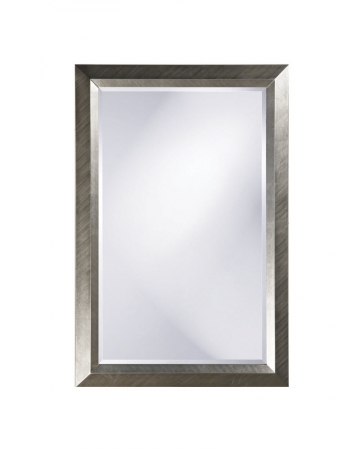 The rectangular wall mirror features a resin frame that is finished in silver leaf. If you are looking for a more contemporary finish, you can customize this piece with one of a dozen optional colors like black, green, pink, purple or blue. 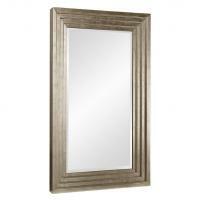 The mirror measures 28 inches by 42 inches and can be mounted in either the portrait or landscape orientation, making it a perfect element for your bathroom or bedroom wall. 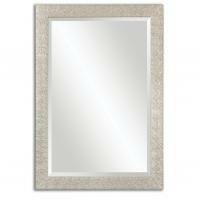 You could also use this as an elegant accessory in your dining room or living room spaces.